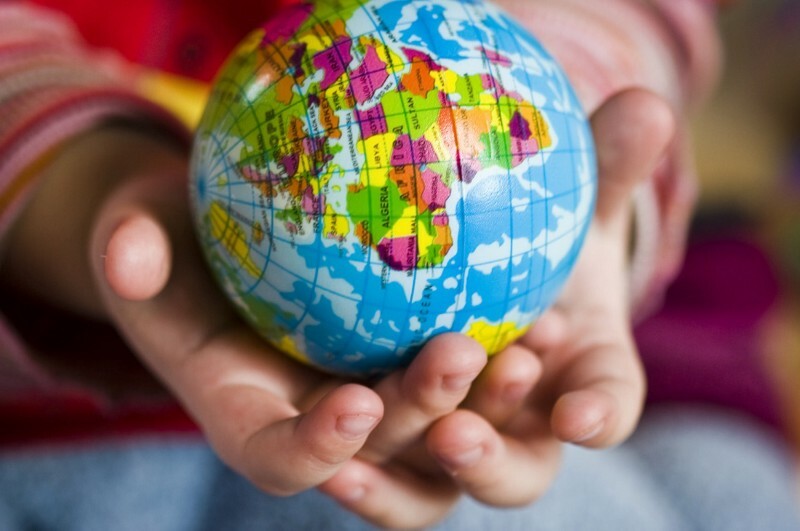 The Education, Communication, and Outreach Stakeholder Community (ECOS) is a recently formed community that is recognized by the United Nations Climate Change Secretariat. ECOS supports effective, innovative efforts to build the capacity of individuals, communities, and organizations (both non-government and government) to make informed climate decisions. As a “network of networks”, ECOS aspires to become a forum and clearinghouse for those involved with Action for Climate Empowerment (ACE) and the original goals of Article 6 of the UNFCCC, which call for public involvement in developing meaningful and constructive responses to climate change. In addition, ECOS aims to serve the needs of communities and organizations, as those needs are identified and prioritized. The process of organizing ECOS activities and goals and the products and services offered will evolve over time. Initially the ECOS community is dedicated to surveying existing efforts to build capacity for climate action by identifying effective practices and addressing key opportunities and constraints. The original vision of the United Nations Framework Convention on Climate Change (UNFCCC) was very people-focused. In Article 6 of the Convention, renamed “Action for Climate Empowerment” or ACE in 2015, the parties agreed that education, public access to information, training for relevant professionals, and international collaboration and cooperation would allow the public to be directly involved in developing adequate responses to climate change. But many parties have been limited to their response to fulfilling their commitments to inform and engage the public and professionals, and efforts to build literacy and the capacity for people to make informed decisions was left largely to motivated individuals and organizations to tackle on their own, often with little support. While there have been some important success stories, they have been the exception rather than the rule. ECOS aims to support the UNFCCC Secretariat and its ACE efforts and focal points, as well as other stakeholders and enthusiasts working to build capacity for public engagement and informed climate action. 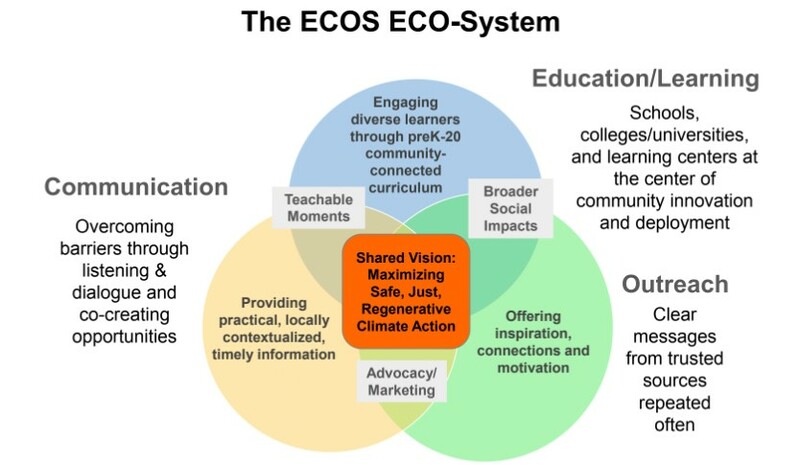 ECOS aims to optimize the potential for safe, just, regenerative climate action through an integrated, methodical approach to fostering climate literacy, communicating relevant, time sensitive information, and inspiring action through outreach and messaging. (6) climate change engagement and empowerment (promoting activities to increase awareness and mobilize action). In its current phase of development, ECOS is defining through community engagement its purpose, the people it serves directly and indirectly, the process of engaging with stakeholders and the public, the products it develops, and evaluating and improving its performance.